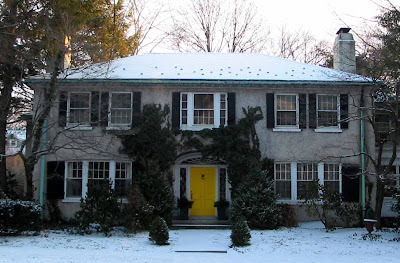 PeaHen Pad: Yellow front door? After living in our home for 5 years, we've known for a while that we need to paint the exterior. 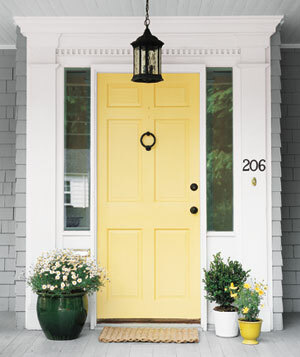 For some reason, I'm really liking yellow front doors. Owning a house is so fun. Being able to do whatever you want, (of course if it's approved by the HOA) is awesome. 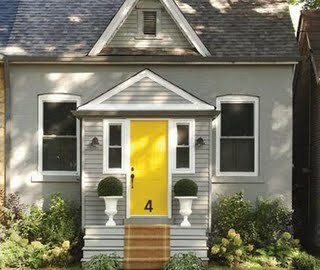 I'm also really liking gray houses with yellow doors. We've decided to go ahead and paint our house ourselves. It will be about $200 in paint and supplies vs. $2,000 for professionals. And besides we have a one story house. How hard can it really be? 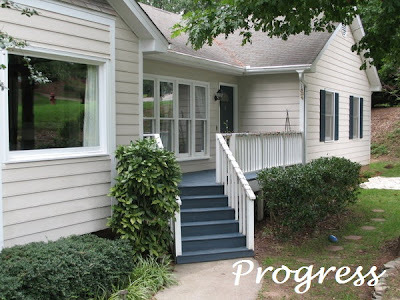 We've painted our deck several times. And we're no stranger to painting, so it should be pretty fun, but time consuming. We're giving ourselves several weeks to complete the job. We're hoping to kick off the painting mid-June, once Joe finishes his extra teaching position at work. We'll keep you posted of course once we decide on colors. Anyway, what do you think of these houses below? Here's a photo of our house. 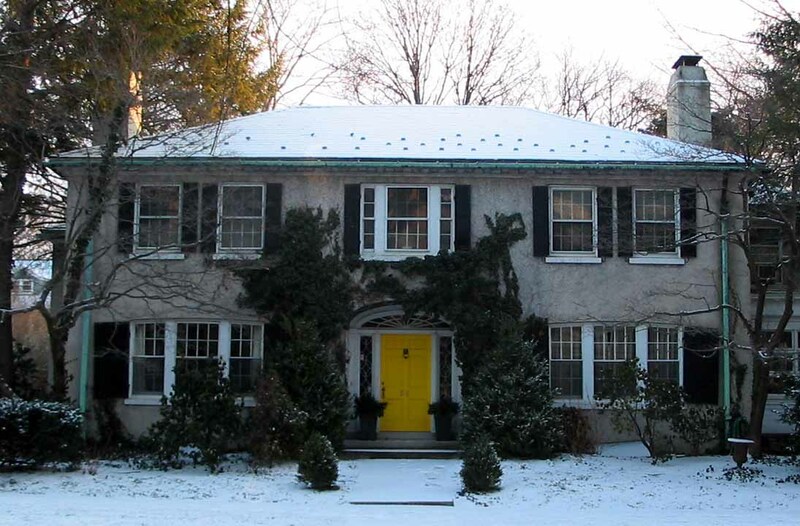 Do you think a nice rich gray would work on the siding and paint all the windows and trim a bright glossy white? 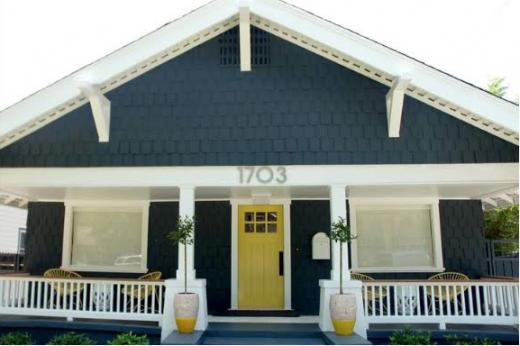 I'm thinking black for the shutters. 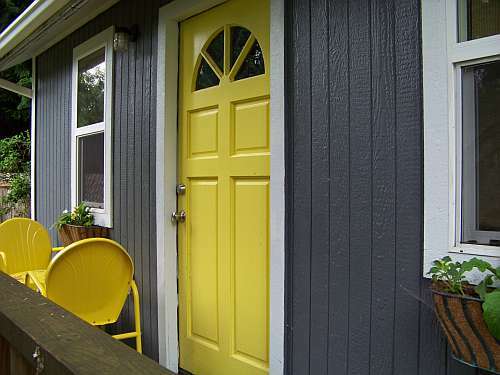 Yellow for the door. Not sure about the stairs and deck. Need advice! What is the door colour on the 6th picture ? It's really pretty !